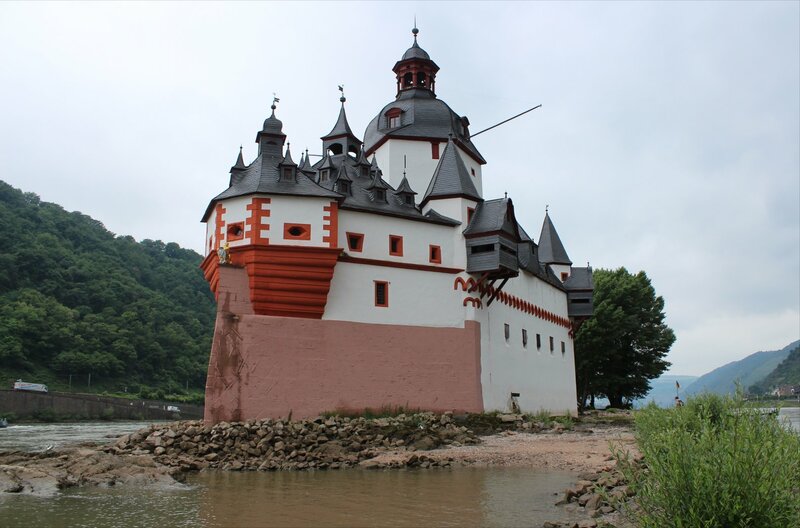 Our second day of sightseeing in Rheinland-Pfalz took us down the right bank of the Rhein for an itinerary that would take in two of the most distinctive castles on the river. 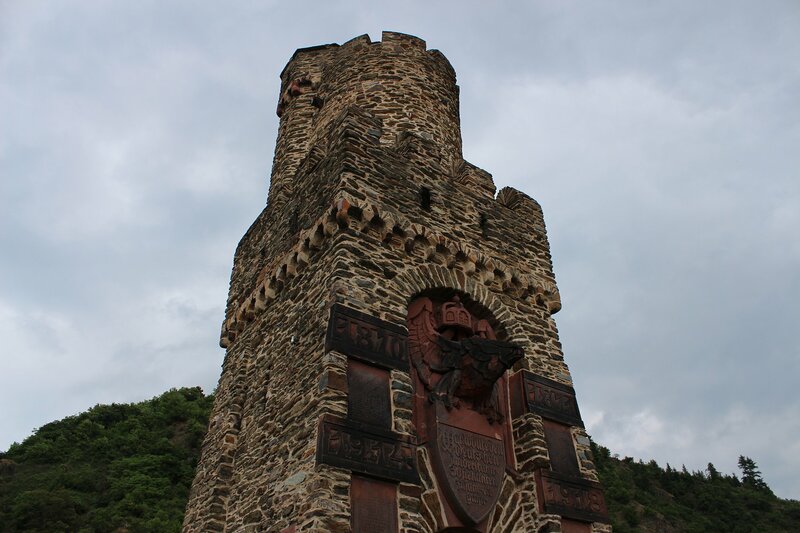 First up was Burg Pfalzgrafenstein, which is pretty hard to ignore in its prime position midway across the Rhein. 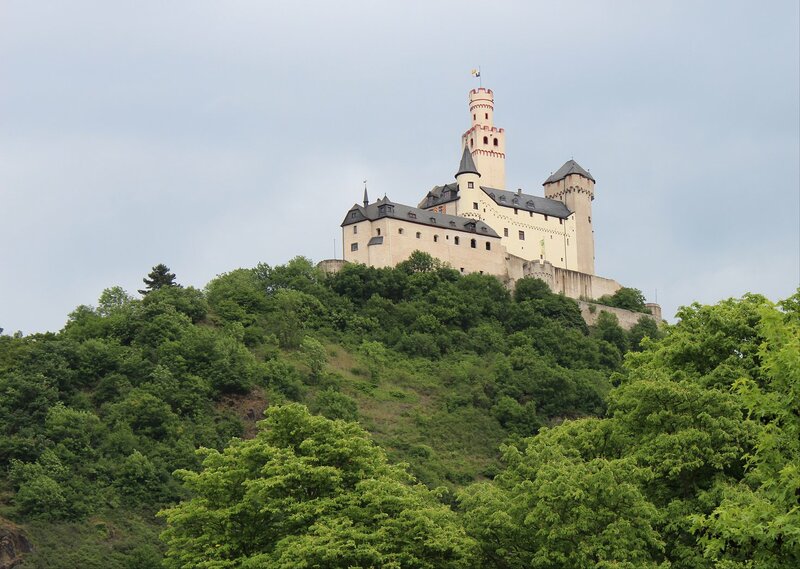 The castle’s origins can be traced back to 1327 when King Ludwig IV ordered the construction of the first tower on Falkenau Island. The castle was expanded over the centuries with the last alterations of significance completed in the mid-eighteenth century. It’s not hard to see why it is commonly known as ‘the stone ship’. The primary function of the castle was as a toll station but it also had its moment in history. 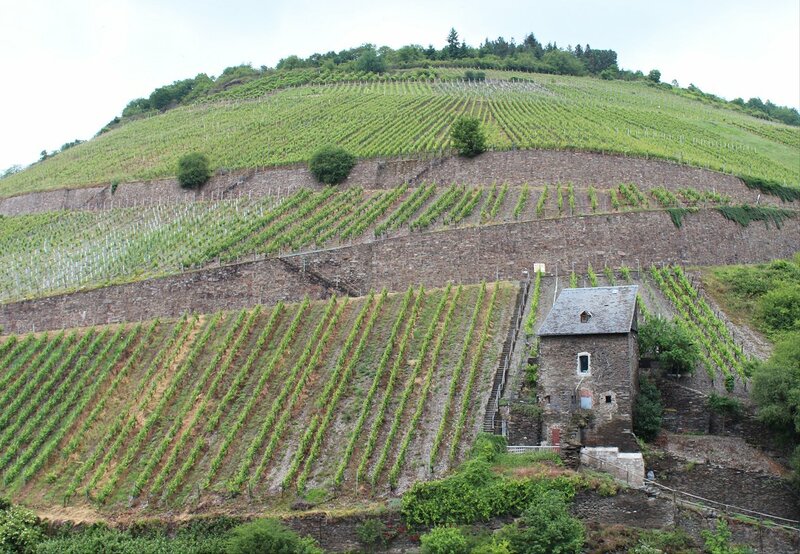 It was here, in 1814, that Field Marshall Blucher’s forces crossed the Rhein in pursuit of Napoleon. Fifty thousand Russian and Prussian troops and 15,000 horses crossed to the left bank by means of a pontoon bridge constructed across the river via the castle. 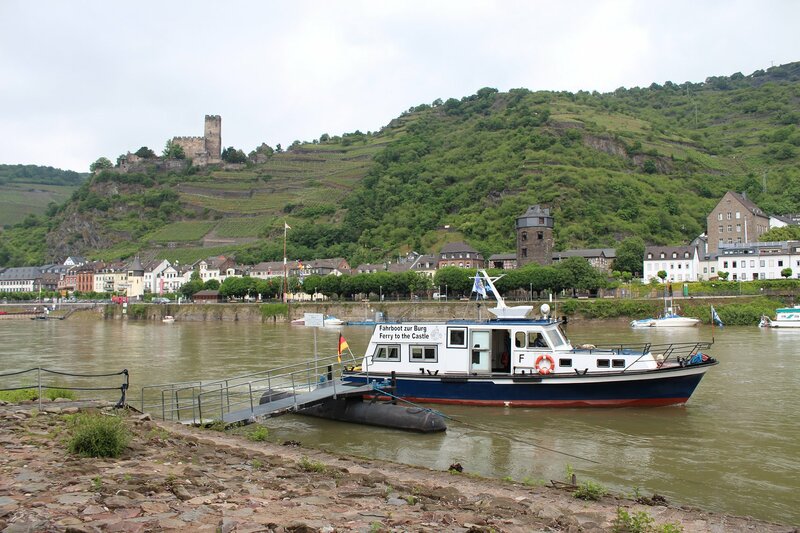 Today you can reach the castle from Kaub by means of a ferry that takes all of a minute or two. Once you are on the island you can take a self-guided tour of the castle using a rather neat orientation map. It’s a real pleasure to wander round at your own pace and savour a pretty remarkable castle. After returning to the right bank we moved on to Braubach, tackling the climb up from the town to the Marksburg. 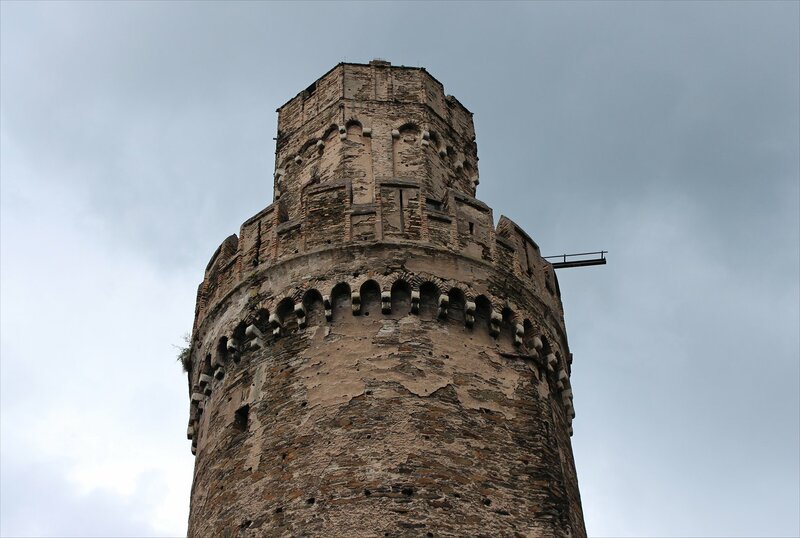 The Marksburg is a true medieval survivor, tracing its origins back to the twelfth century. The castle makes a formidable sight above the town and has never been subjected to serious attack during its lifetime. 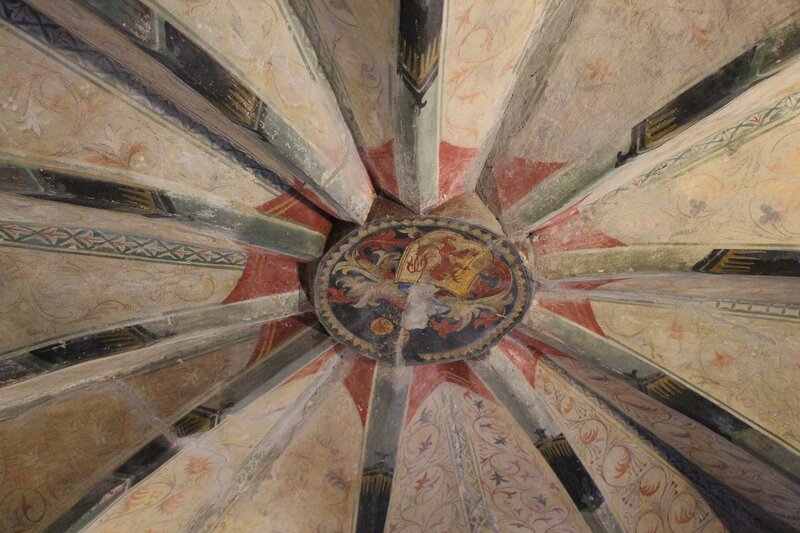 Nevertheless, the castle has a varied history which we discovered on a guided tour (we opted for a tour in German and rented an english translation). In its time the castle has been a fortress, garrison, care home and prison! Although the interiors were fascinating, sometimes it is the simplest things that make you feel the connection with history. I was particularly struck by the stairs we used to enter the castle, which were thought to have been carved into the rock by Prussian soldiers during their occupation in the mid-nineteenth century. It seemed astonishing to be treading in the same footsteps as those men of history. 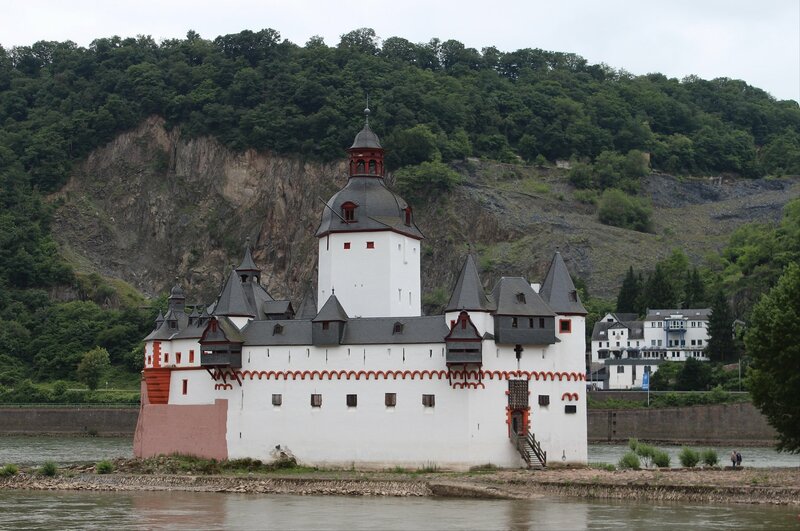 In the evening we took a whistle-stop tour of the left bank, stopping off at Oberwesel to take a wander around the fortified walls of the town and taking a pleasant wander along the riverside at Bingen am Rhein to view the Mouse Tower (currently shrouded in scaffolding). The reward for our day’s sightseeing was a rather splendid schnitzel at Zollamt with a cognac and peppercorn sauce that will linger long in the memory!